Citizen Scientists « Adafruit Industries – Makers, hackers, artists, designers and engineers! More than a decade ago, in hopes of advancing research on the rare genetic disease that afflicts her children, Sharon Terry let two different researchers draw their blood for study. But when she asked for the results of the investigations, the scientists gave her a startling response. 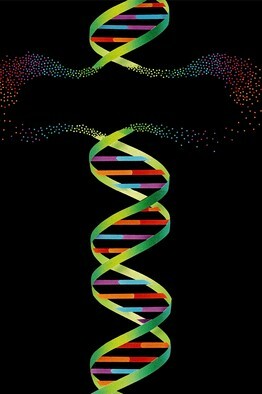 Information generated from her own children’s DNA, they said, didn’t belong to her. Today, Ms. Terry is part of a growing movement to unlock medical secrets by empowering patients to gather, control and even analyze their own health data. For some people, that means posting detailed personal information, family histories and genetic test results online for all to see. Others may decide to make public only limited information or to grant access exclusively to researchers who agree to share the results of their studies. As long as citizen scientists really do understand what science is and what it’s for, this trend can only be a good thing. I am concerned, however, that because of the staggering level of scientific illiteracy in our culture right now, not everyone will be capable of using such information responsibly. There have already been numerous controversies that have resulted from dubious or non-existant data, or faulty conclusions drawn thereof. I’m thinking specifically of the whole child vaccination thing. I’m hoping that we will recognize the value of a scientifically-literate populace, and make it’s achievement a priority. (I don’t want to make this the focus of the comments, but) IIRC correctly, the child vaccination thing was originally put forth by an MD, not a layperson, who was later discredited by his peers. My point is that bad data (and bad conclusions) can come from anywhere. I don’t think these ‘citizen scientists’ will produce data any more or less accurate than professional scientists, but they may well produce _more_ of it, or at least be more open with it. Criteria for what constitutes good data are well known and not especially hard to understand, and experiments can (must) be procedurized to allow for independent verification. I wouldn’t worry about a lack of scientific literacy affecting this stuff, because people who are not scientifically literate won’t be inclined try this kind of thing anyway. MD’s are often not properly based in statistics or research methods or interpretation of data. The “MD” designation by itself is not an indicator of quality of result. One thing that concerns me is the loss of privacy when data is willingly posted for all to see by citizen scientists. Though this will bring more eyes to the data, some of the eyes may be future employers, insurance companies, etc. The raw data published in this way might be attributed/linked to an individual without the safeguards of the “big research” protocol which includes a human subjects protocol review. To that end, if we’re going to have citizen scientists, I think there must also be some mechanism to share data with others- professional and citizen alike, and publish work for peer review. Maybe it’s time for, “The Citizen Scientist Journal.” Better still would be to invite members of the professional scientific community to participate, much like members of the professional engineering community already participate enthusiastically in the Maker Movement. As a professional engineer myself, I have nothing to fear by helping someone solve a problem. In fact, I live for that! @jorge: I understand that, but I would also not refer to an MD as a ‘layperson’. The only reason the vaccination controversy was a controversy at all is because it was originally proposed by an MD. If a layperson had made those claims, nobody would have noticed, because in the public mind, the MD appellation carries weight, even if that is unwarranted.